Porthgain is a Pembrokeshire harbour that I return to again, and again. it's just such a wonderful location. 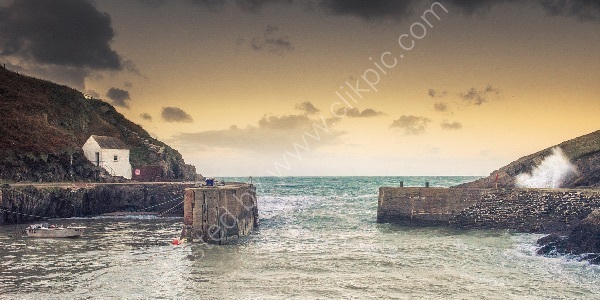 This image was made on a windy winters evening, with the incoming tide crashing over the harbour Wall. I like the way that wave on the right mirrors the harbourmaster's cottage, on the left.